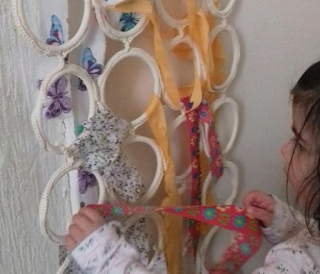 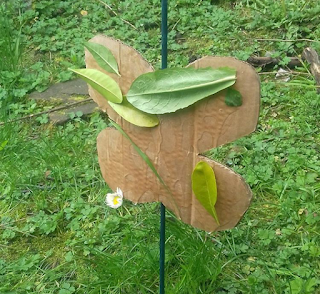 Weave with any materials the children find on their nature hunts. 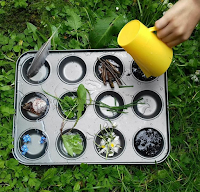 This is a great early science activity to explore which pieces of nature absorb water. 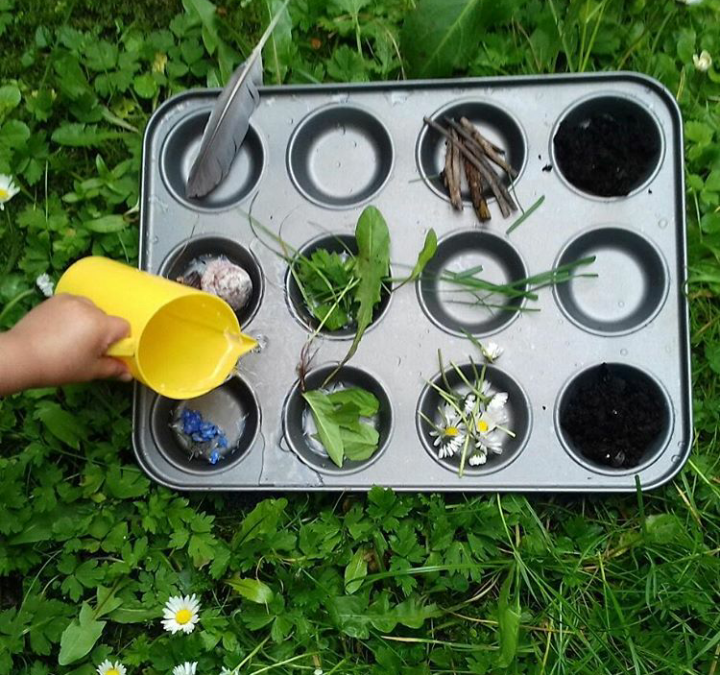 Give bun trays to the children to collect their 'nature treasures' in, then allow them to pour water over them to see what happens. They can easily see that the water soaks into some of their findings. 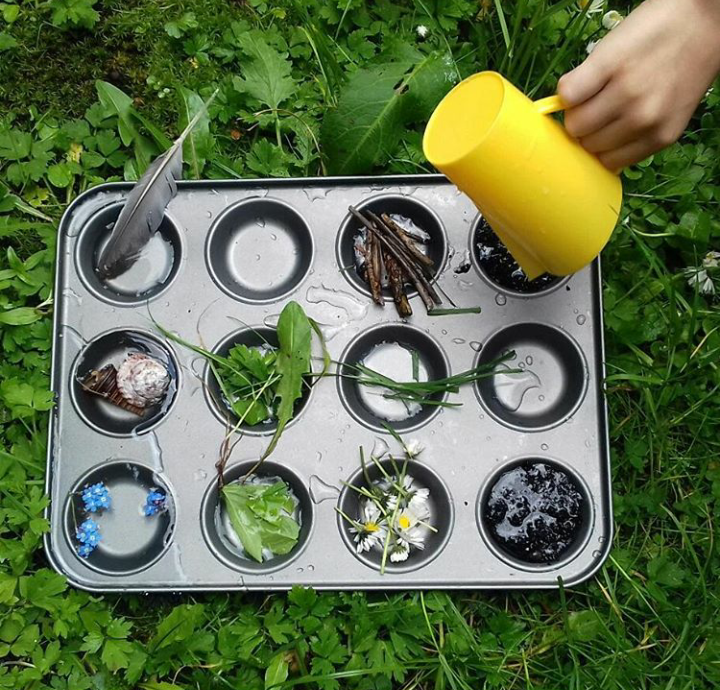 You could also freeze their findings in this tray, with string attached at the top, and then hang up the ice decorations to watch them melt! 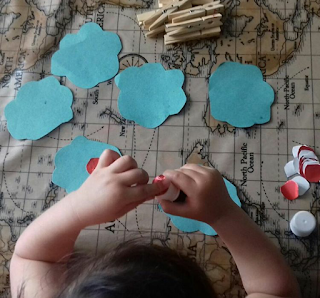 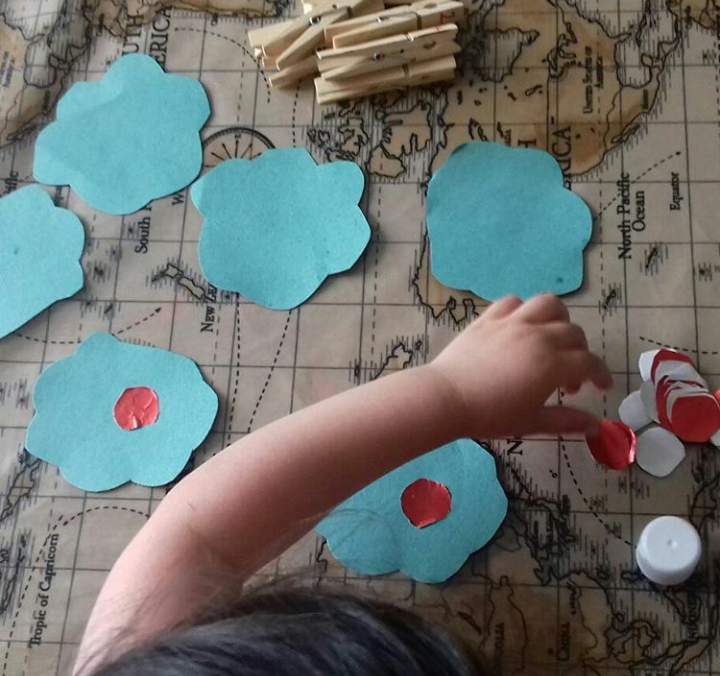 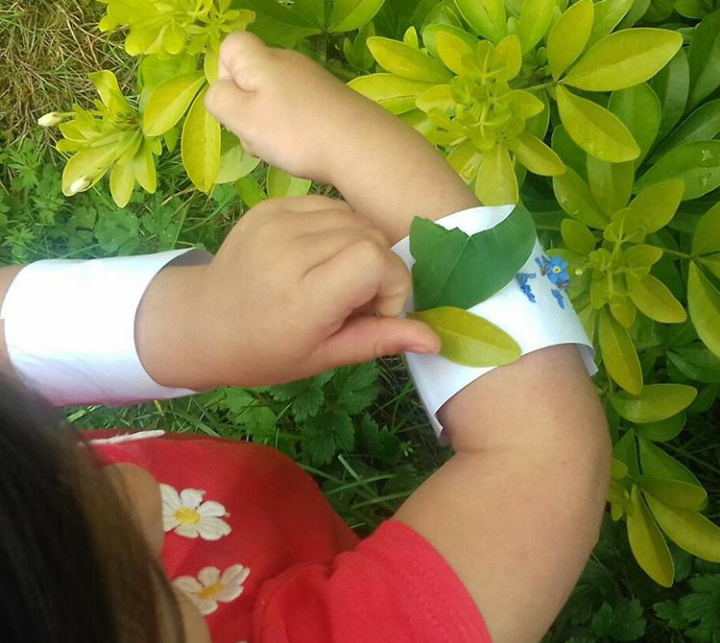 Simple, fun activity to explore nature. 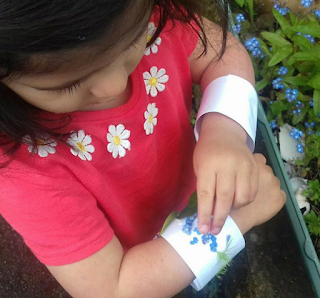 Glue a strip of paper, tape it around the child's wrist and allow them to collect pieces of nature they find by adding it to their bracelet. 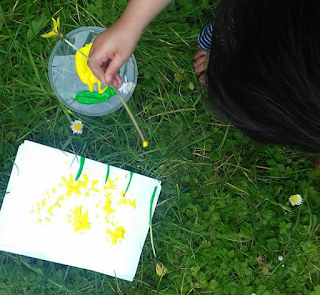 Painting with nature is simple and a great way to take your classroom outdoors. 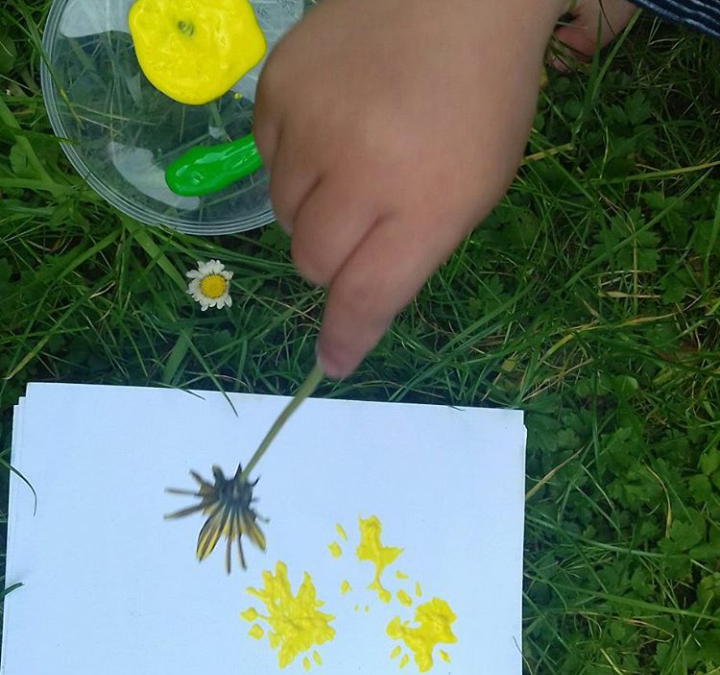 You could try making your own paintbrushes with flowers, leaves, etc. 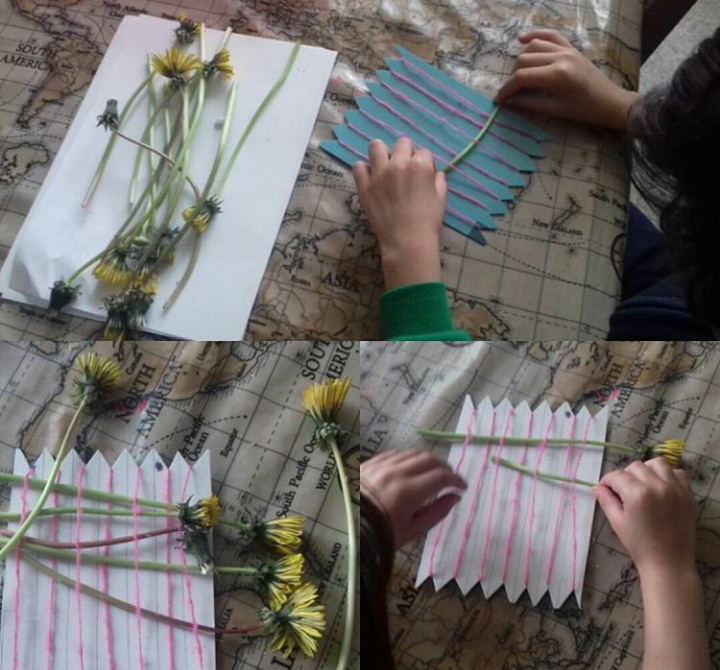 tied to twigs or the children can use whatever materials they find such as dandelions. 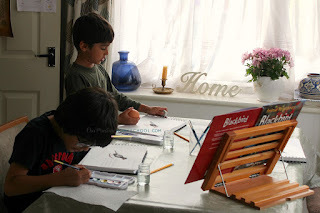 Leave their artwork to dry and they make great cards/postcards. 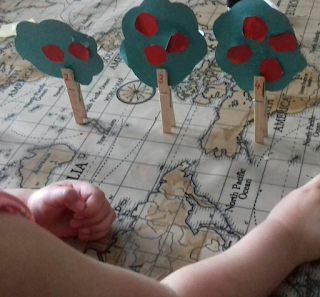 A great way to introduce numbers at preschool by the children adding 'apples' to their 'trees' and then matching the number of apples to the number on the pegs 'tree trunks'. 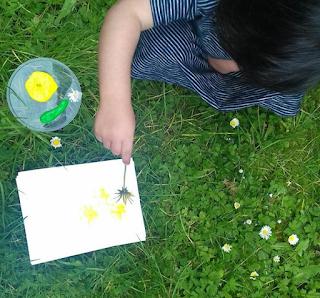 A lovely outdoor art class exploring natural materials around them. 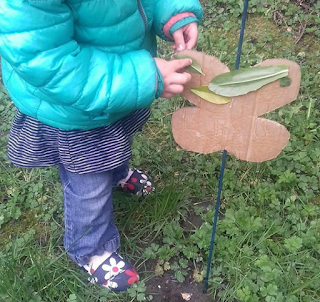 Cut out any shape (butterfly, rainbow, etc) from cardboard, tape onto a stick and place securely into the ground. 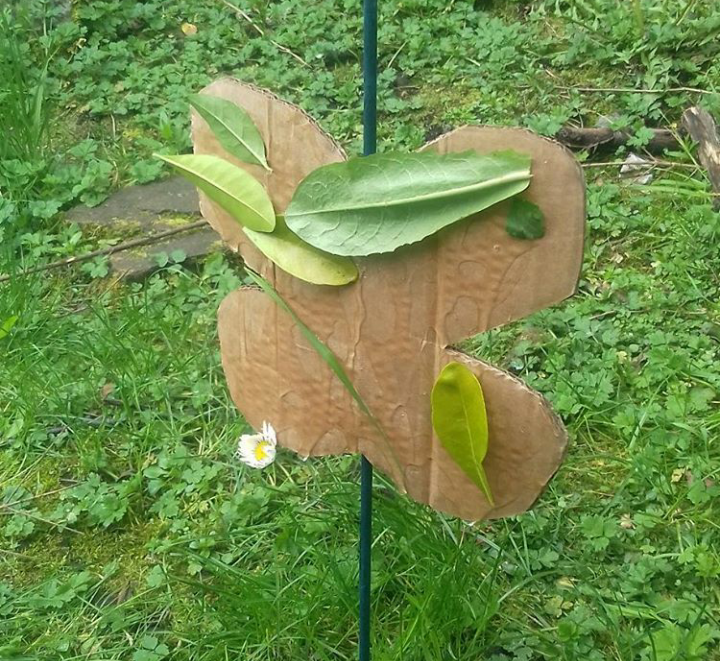 The children can then decorate however they wish from their nature 'treasures' they find around them. There are many great ways to use plastic eggs which come in a variety of colours. 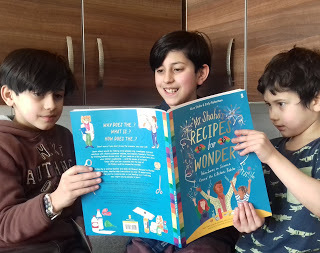 From learning phonics and words to counting, times tables and telling the time. 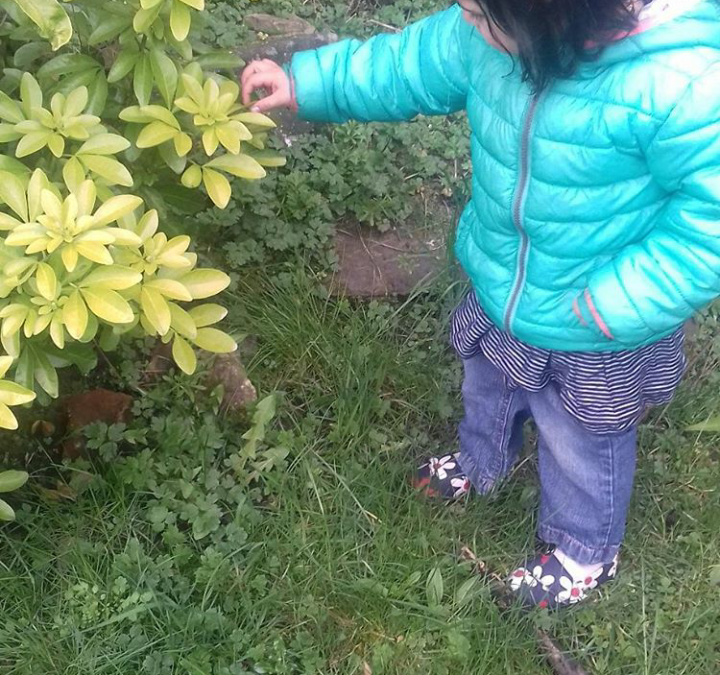 They could be hidden in sand, dried lentils, etc. 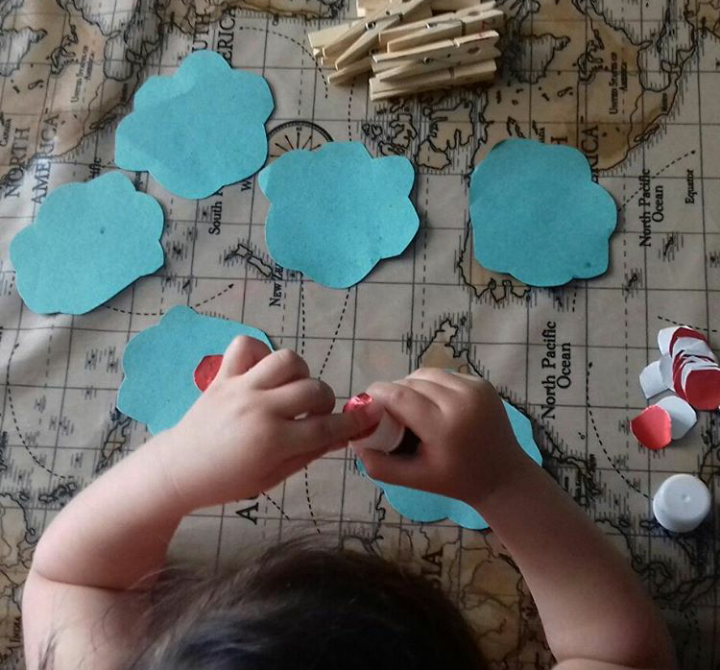 for sensory play and are great for motor skills when matching the top pieces with the bottom. 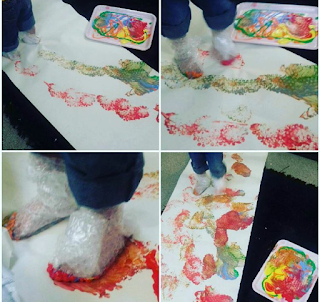 This is a great sensory activity to try out with pre-schoolers whilst learning the alphabet. 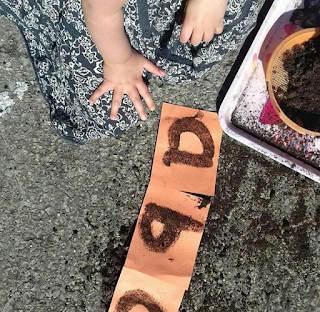 The child glues over the letters they are learning and then uses a sieve to sift soil of the top to reveal their letter. 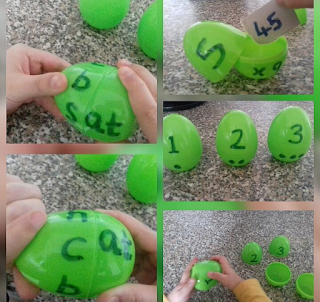 This activity can be adapted to learn words or numbers. 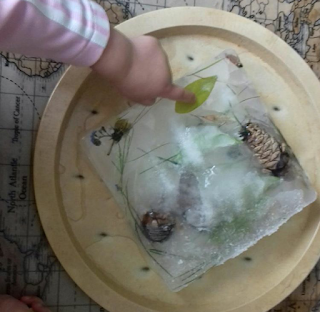 For this ice block activity pieces of nature need to be placed in a tub of water and frozen overnight. 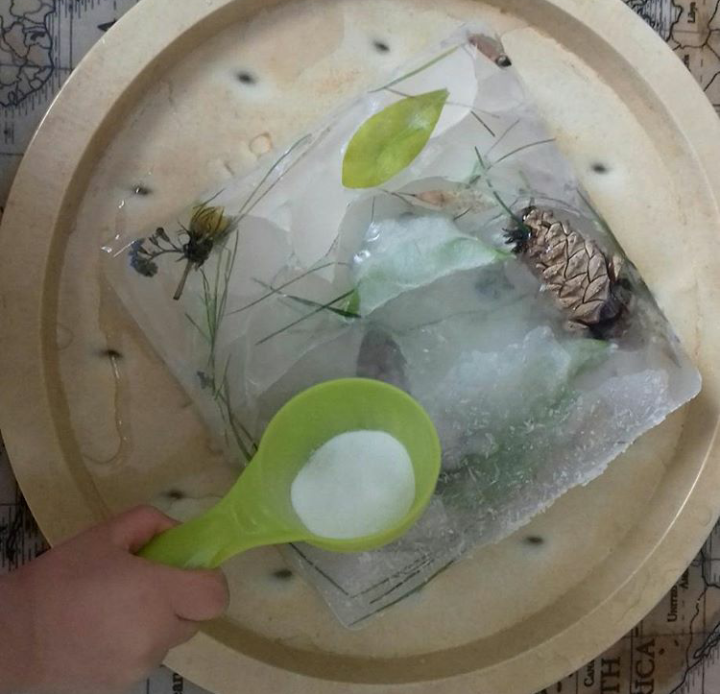 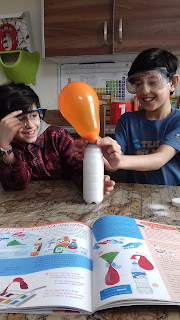 The following day the ice block will be ready to explore using salt to melt the ice and different items to tap away at it to reveal the contents. 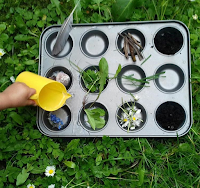 Anything can be frozen into a block for pre-schoolers to explore such as dinosaurs or items with the same sound they are learning. We always have lots of bubble wrap so decided to bubble wrap Maymunah's feet and let her make her own work of art with paint! 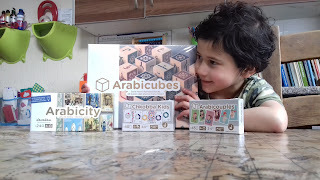 Fun activity to learn words/letters/numbers, etc. 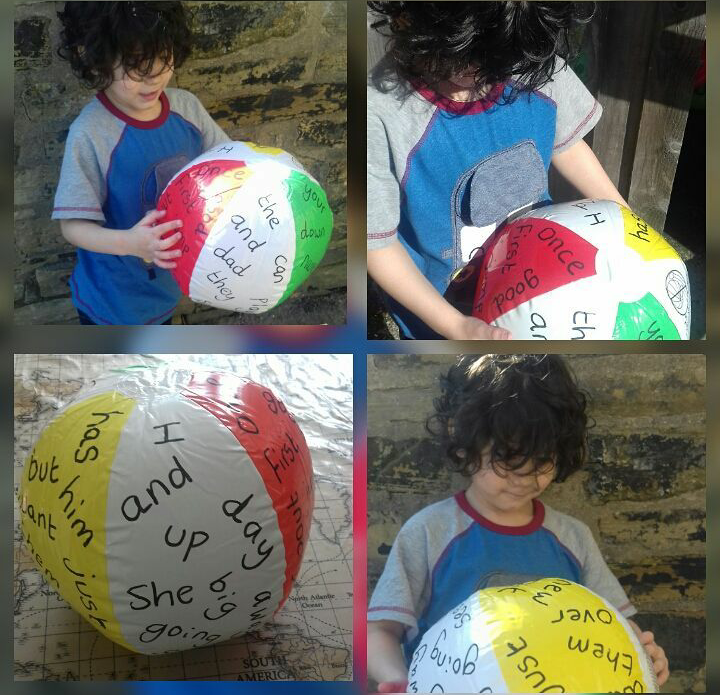 write them on a beach ball and everytime he caught it he had to read a word.